Thank you so much for the kind comments you left on my 10-year anniversary post! I was out of town this weekend so I'm still reading them all. I will contact the winner tonight or tomorrow so watch your email! 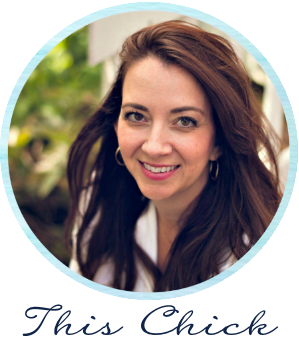 :) I appreciate you taking the time to comment and I loved reading how you found me! Today we're talking organization! 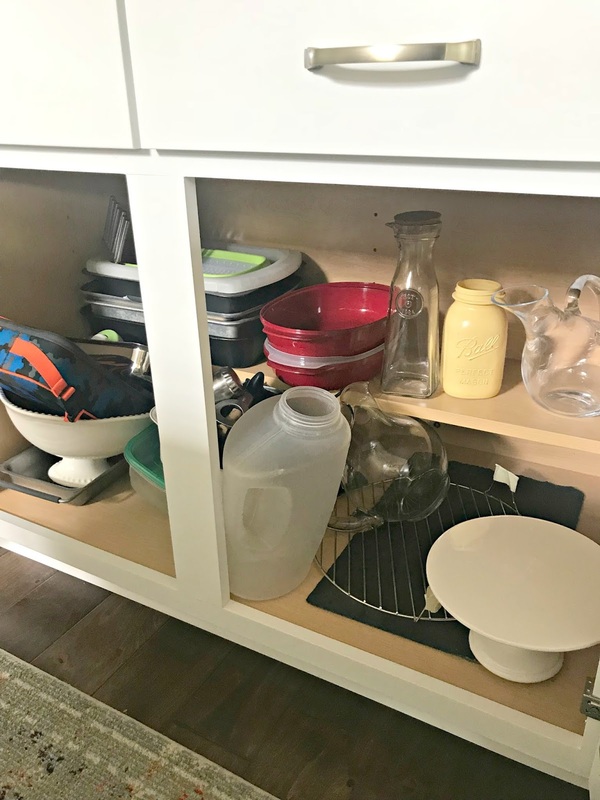 One of my favorite topics because of all the things I do in our home, organizing the spaces makes the biggest impact on how we live. An organized space makes our lives easier, lowers our stress and saves us money because we don't buy multiples of everything. And I have to tell you -- there was a remarkable difference in how I felt in the house when those spaces were organized. It's SO NICE to find something when you go to look for it! 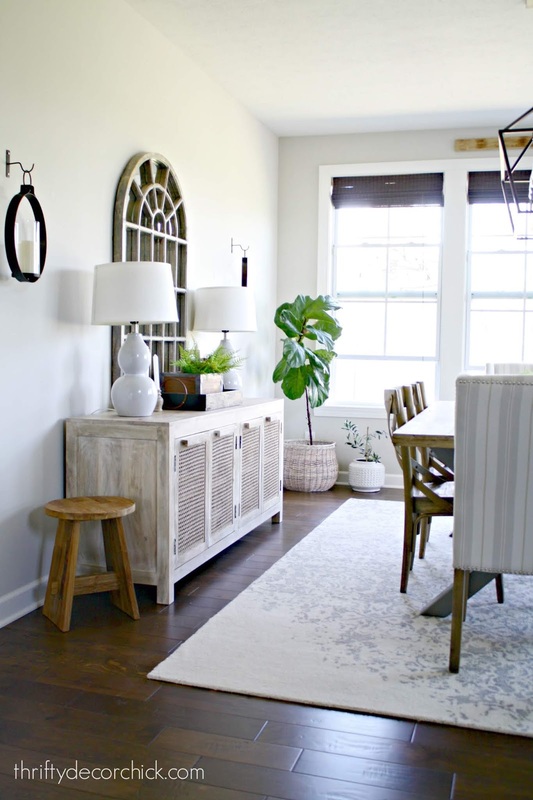 The older I get, the less I can deal with clutter in our home. It makes me twitchy. Not horrendous, I know. (If you want to see some good messy befores check out the posts I linked to above!) But I never knew where anything was. I would quite literally open the doors and throw stuff in. We've lived here nearly eight months now and that was getting old. Then whatever was left I separated into piles -- pitchers, bowls, baking dishes, etc. It became a lot more manageable by the time I got to that point. I took advantage of the empty cabinets and cleaned them really well. Then I started to assess where I wanted to put items. 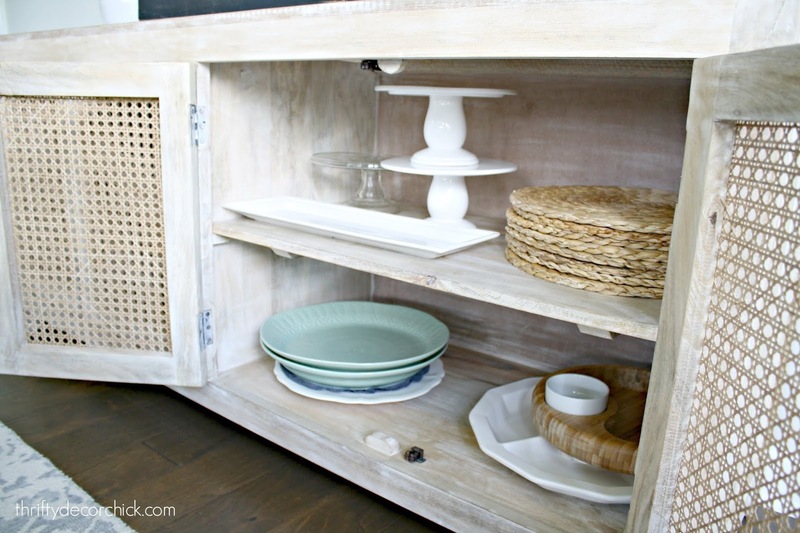 I lucked out big time when I realized the small shelf in our lower cabinets is removable. You know the one I'm talking about? The skinny one in the back that is difficult to get to and always seems to get in the way of the tall stuff you want to store? In our old house I removed a couple of them and it was a MESS because I had to cut them out. I think I got them at IKEA but these are very similar! I've used them here and there over the years and they are super helpful for awkward items like big pans. I installed two of them in this cabinet since I could take advantage of the height and depth without that back shelf. I made a quick DIY shelf for one side (I did this in our old house too). I love doing this because it makes it easier to access items. I put the larger mixing bowls that I don't reach for as often in the back underneath. 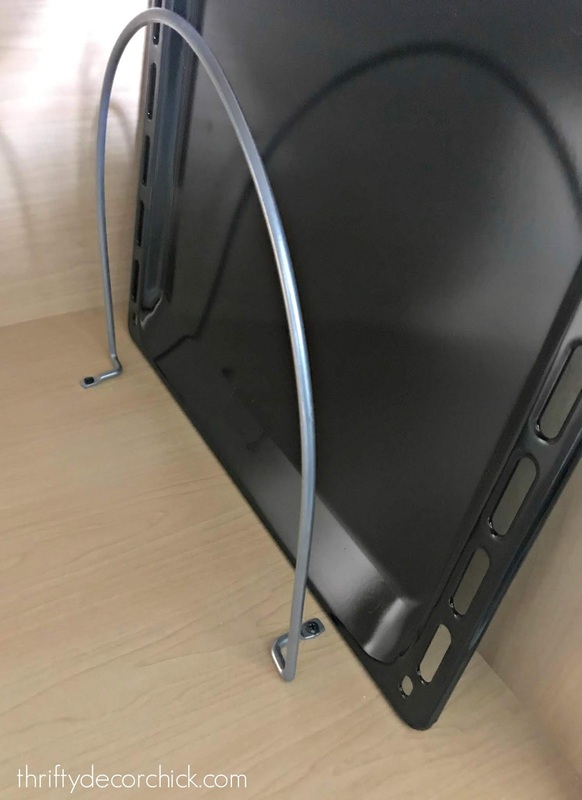 Does anyone have that cool shelf for the mixer (affiliate)? The one you install and then it brings it up to counter height? It's so expensive so I wonder if it's worth it! I haven't shared the uppers in the kitchen because we really only have two and they're pretty basic. The drawers though -- those are for a different day. They need some big time binging and organization! But now that the pantry and cabinets are done, I'm most of the way there as far as the kitchen is concerned! It's already made such a difference having these so clean and organized. I just feel at ease when I open the doors. I've said it a million times but tackling projects like this make me feel SO much better about life in general. It's amazing how much having "tidy" spaces reduces my stress. And at extra stressful times I always find solace in making the little spaces in our home more streamlined. 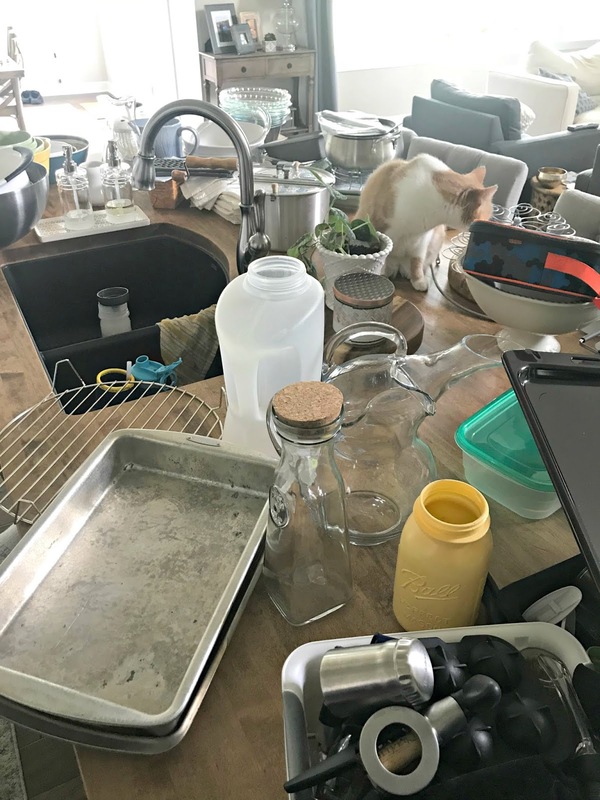 I love tiding and organizing and I too feel lighter somehow when it is done ... sadly it's one task that is 'hidden' from view and is often forgotten until everything comes tumbling out and demands to be sorted! KonMari is LIFE!! 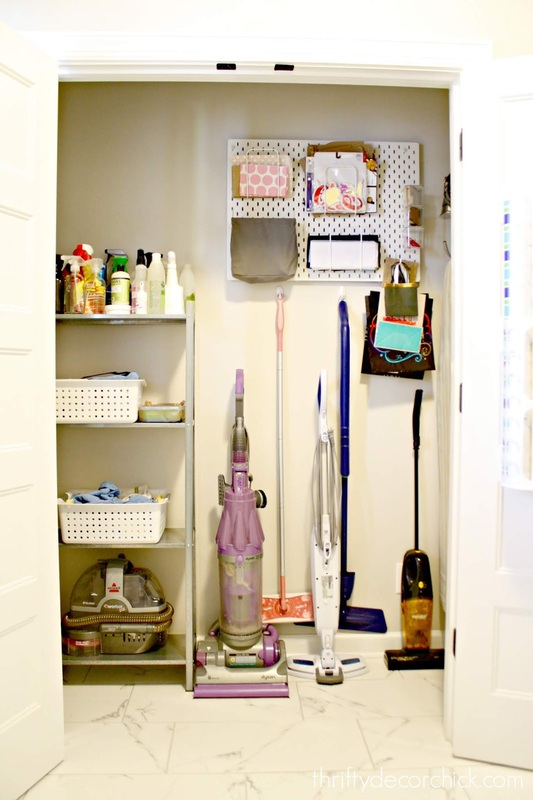 It was a big game changer for me - why was I always picking a couple things to get rid of when I should have been choosing what to keep?! I recommend the book to EVERYONE! I need to go through all my kitchen cupboards and do this! 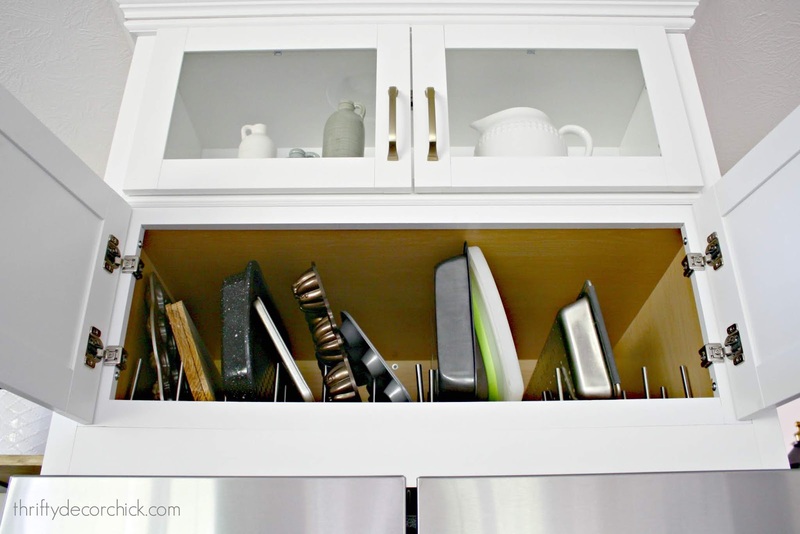 I love your idea of putting in the dividers so you can stand up tall and skinny items! Brilliant! 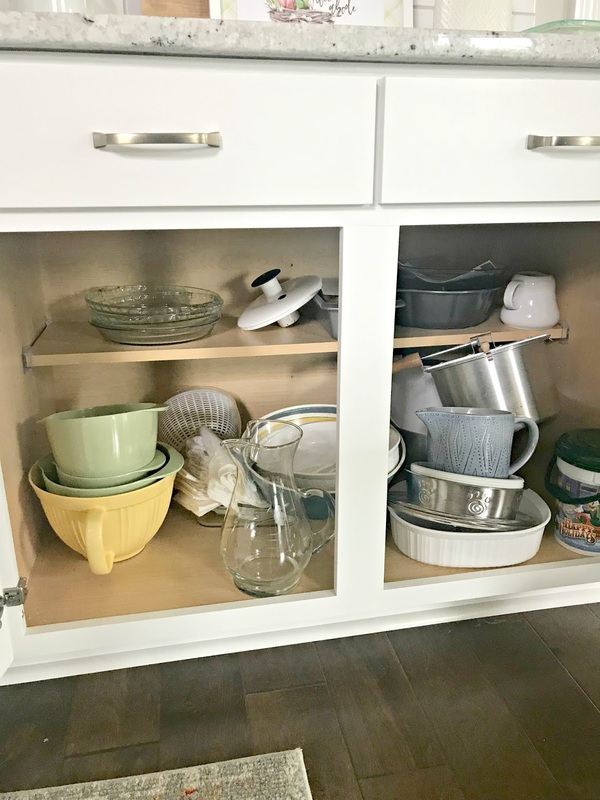 I also had those half shelves removed from all but one of my lower cabinets (nearly had to use dynamite since they were notched in) and as a Christmas gift to myself, had double tier roll out racks installed. Why I didn't have that done years ago is beyond me. 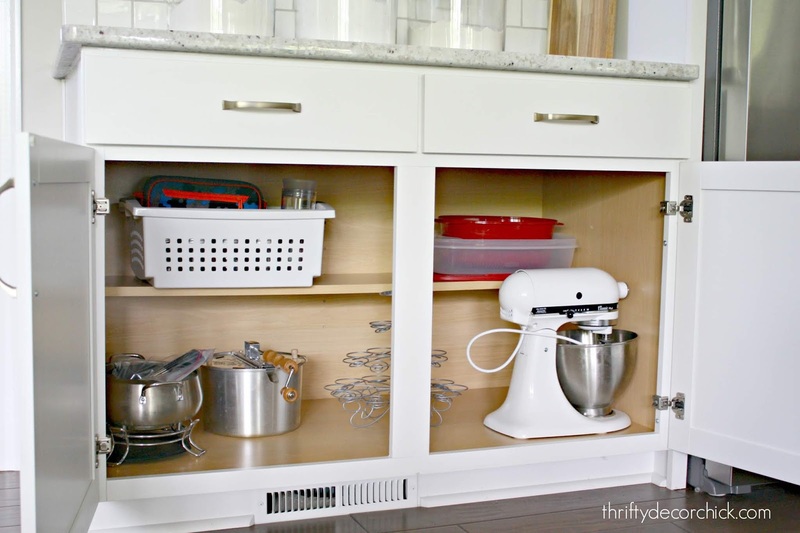 The organization and ease of use is amazing and probably the favorite upgrade in my budget kitchen reno. I'm a big believer in kitchen organization. When you shop, put away, prepare, cook and then clean up, that's enough kitchen work. 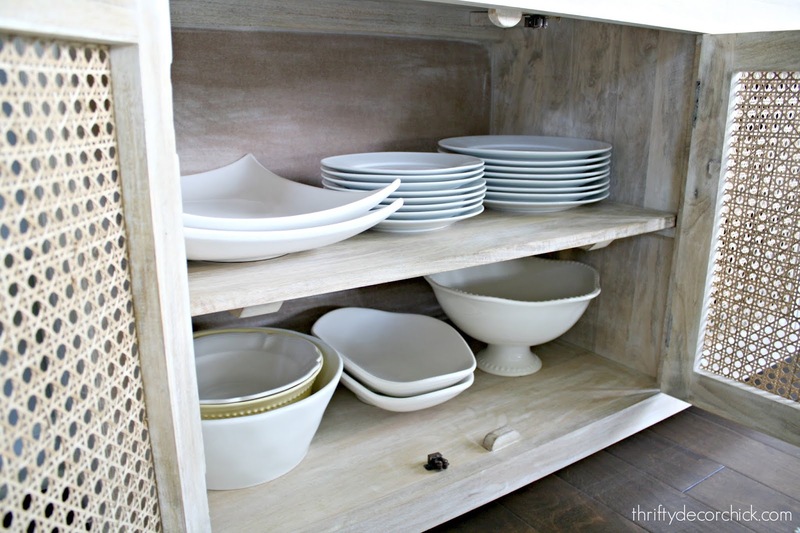 You shouldn't have to deal with messy and inconvenient cabinets and drawers as well. Yours look amazing. I did the same in the kitchen I designed in my old house. 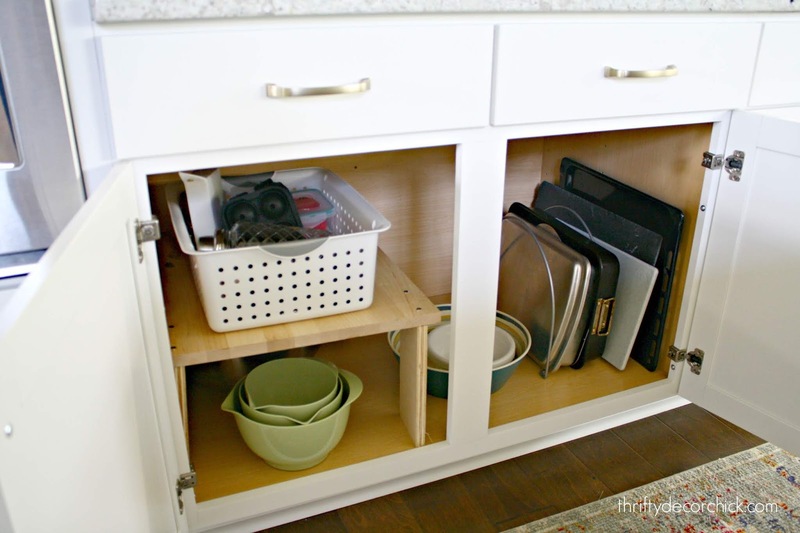 Drawers are a thousand times more functional than those cavernous bottom cabinets that dominate most kitchens! Take a stroll through the kitchens on display at IKEA: all drawers on the bottom except under the sink! Smart, functional design. In my current house I didn’t get to design the kitchen, so I’ve also resorted to removing that little shelf and using IKEA organizers. I had a "mixer shelf" put in when building a house several years ago. It was the only fancy thing I wanted in the kitchen! I loved it. They do pretty much eat up an entire cabinet (I think I was able to store my extra mixer bowl and attachments under it, but that's it), but as someone who uses my stand mixer a lot, it was worth it. Like a previous commenter, when I designed my new kitchen 2 years ago, I put in mostly drawers , some of which are very, very deep so they can hold very large items. 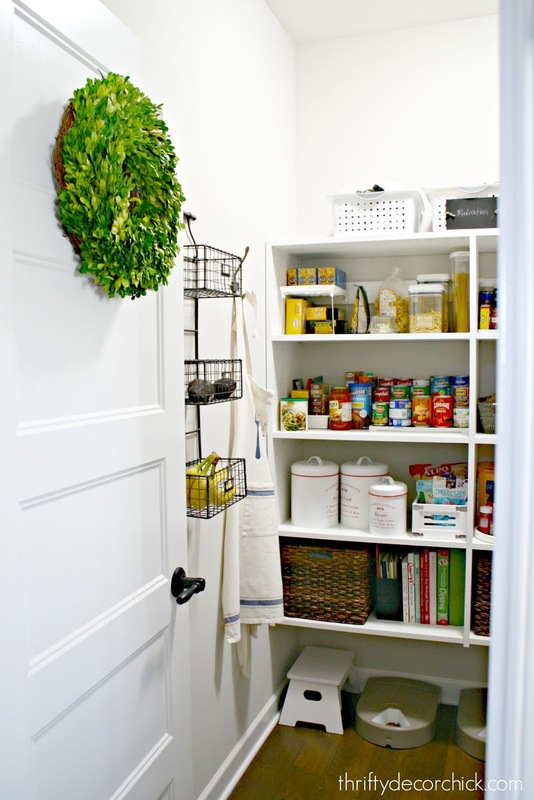 Actually, as I look now, I only have lower cabinets under the sink, and a large floor to ceiling pantry cabinet! 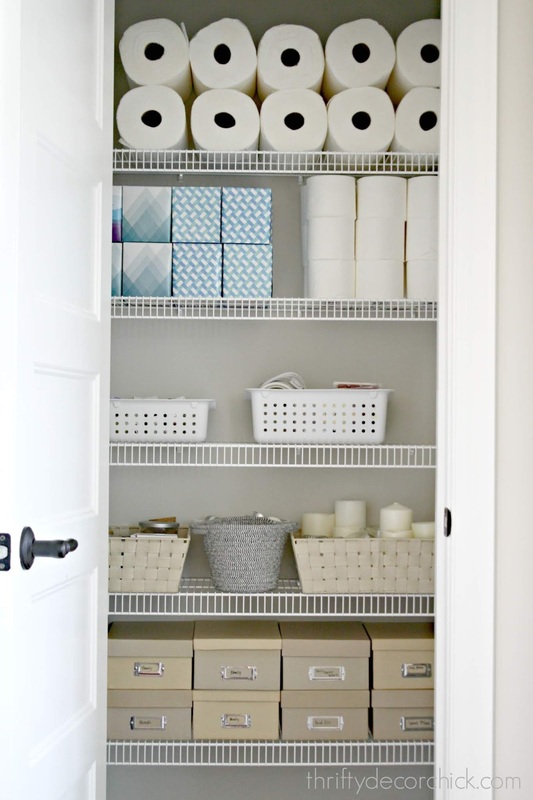 These are some great organizing tips. I can’t wait to use them in my newly remodeled kitchen. I have lots of deep drawers now and it can hold a lot of things but I don’t know how to fill them properly. 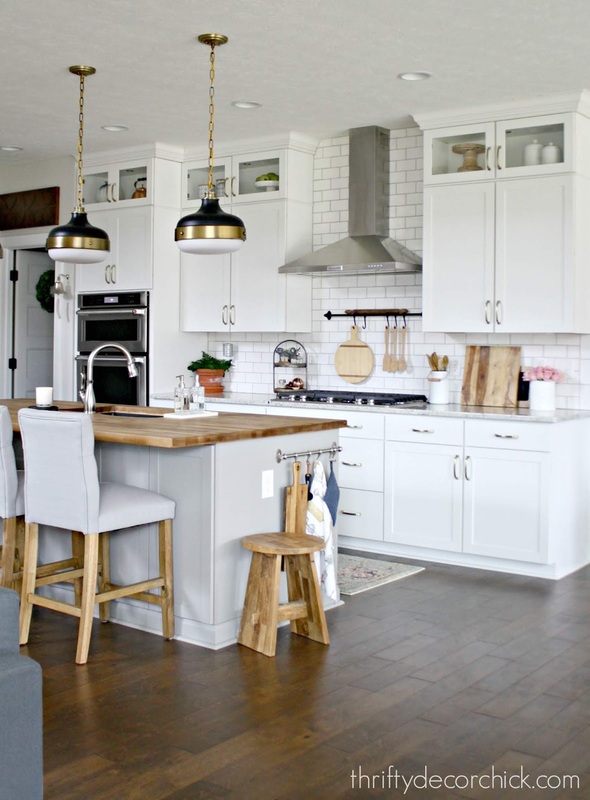 Most importantly, I have to know where you got your kitchen pendant lights from! they are fabulous and I want them! Great tips, Sarah... thanks for sharing! Great tips! 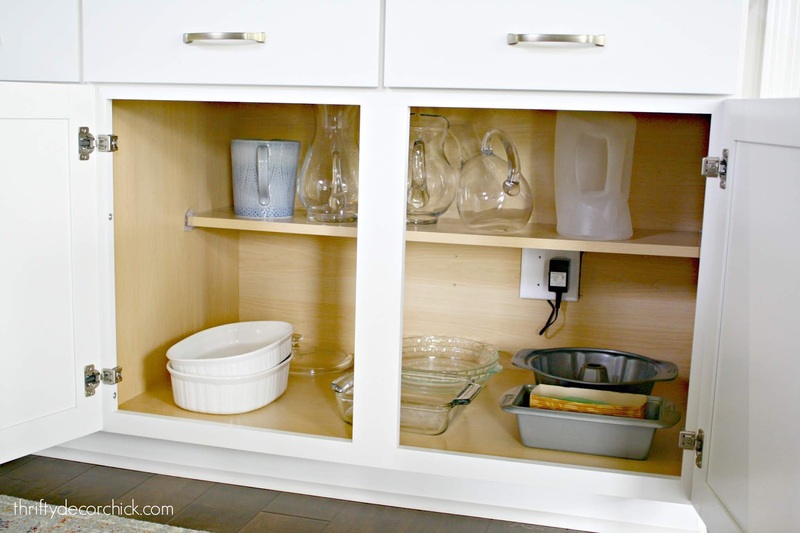 I am SO fortunate: we built this house 5 years ago and the kitchen cabinets came with pull out shelves in each lower cabinet. 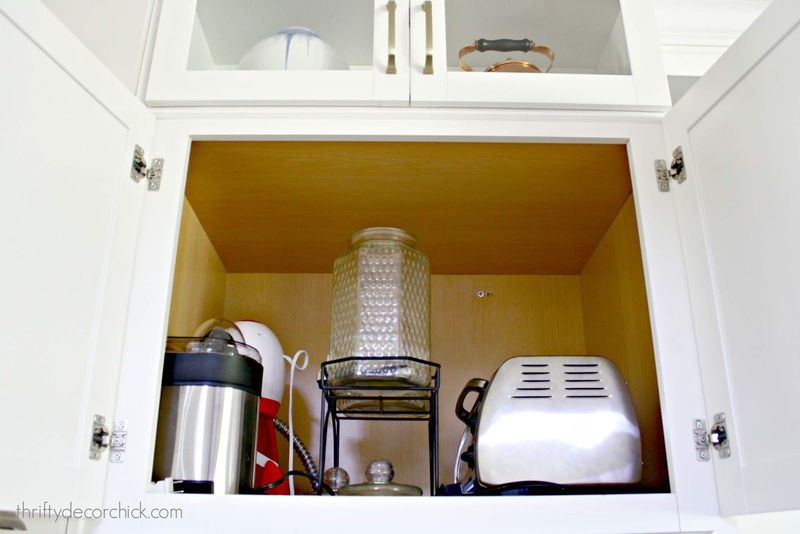 Then my hubby installed pot and lid organizers in my cabinet under the stove for me. That has been a Godsend! I will check some of your other organizing posts too. I love to organize!